Reaper’s Rival is a little different to my ‘normal read’ but I thought why not give it a go? Before you head on down to see what I thought, let’s hear a little bit about Reaper’s Rival by Simone Elise. Reaper’s Rival is book 2 in the Satan’s Sons MC series. Book 1 was called Reaper’s Claim and introduced us to the main character’s Abby and Reaper. 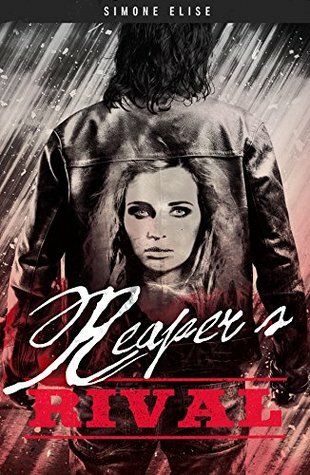 I quickly read Reaper’s Claim and I was hooked after the first chapter. It was a fantastic book which quickly led me on to Reaper’s Rival. Here in book 2 we see Abby mixed up in a gang after the events from book 1. Reaper is desperate to get her back as she is mixed up in all kinds of trouble. Full of bad boys, deceit, lies and lots of drama, Reaper’s Rival will take you on a thrilling ride. I have never read a MC book before, so didn’t know what to expect. The book captures the MC life in great detail and for a noob like me shows what it can be like living in the MC world. Full of action and emotions made it hard to put before bed, as a result I’m currently sleep deprived! This series is highly addictive and I’m eagerly awaiting book 3. I have given Reaper’s Rival 4 out of 5 stars. *I was given an ebook copy of Reaper’s Rival in exchange for this honest review. All thoughts and opinions are my own as always.